How much money spent by Spaniards in fuel per year? How much money spent by Spaniards in fuel per year? How much money spent by Spaniards in fuel per year? The Spanish families spend a year a handful of euros to feed their cars. According to the latest update of the Habits indicators Big Data, prepared by the company AIS Group, average expenditure we make Spanish a year in fuel amounts to almost 1,200 euros, namely 1,185 euros. But not all drivers spend in the same way. If we analyze the study by provinces observe that among the "gastonas" and the less the difference reaches 612 euros. Families of the Balearic Islands are the largest average amount allocated to the fuel their vehicles, about 1,485 per year, 285 euros above the Spanish average. After the families of Baleares, in the table of the provinces more money to invest in fuel those of A Coruna are located, with an average expenditure on fuel for 1,450 euros, followed by Toledo (1,425 euros), Murcia (1,390 euros) , Granada (1,304 euros) and Sevilla (1,302 euros). And drivers who spend less on fuel? Well the Aragonese and the Basques are the least average fuel spend. Teruel, Zaragoza, Huesca and Alava disburse less than 1,000 euros on average per year per family. Specific; Teruel, 875 euros; Zaragoza, 888 euros; Álava, 905 euros; Huesca, 919 euros; and La Rioda, 991 euros. Are we devoting the same money to purchase fuel compared to other years? 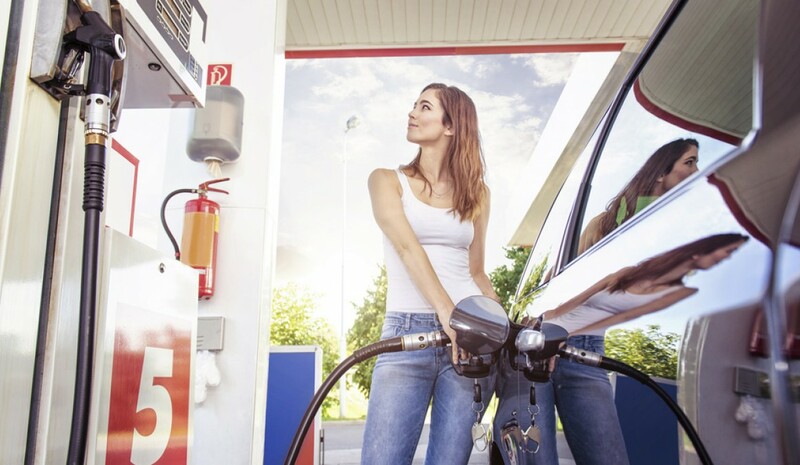 According to Big Data Habits indicators, the overall trend in almost all the Spanish provinces has been to reduce household spending on fuels and lubricants. So, the Spanish media compared to 2014 fell by 9 percent, which translates to about 110 euros. If we go back to 2012, the decline has been much more pronounced. Of the 1,410 euros on average than the Spanish families destined to fill the tank car that year, has passed the 1,185 euros in 2015. This represents a fall of 16 percent. If we analyze the variations produced budget we spend on buying fuel province by province, families that have reduced their investment in fuel between 2014 and 2015 has been the de Huesca, which last year allocated a budget about 20 percent lower. The only province whose families have increased their spending to bring the tank car in 2015 has been Burgos (6 percent), ie, have invested 70 euros on average per year in fuel your car. Given the towns of over 10,000 inhabitants, families with the highest average spending of Spain in fuel are divided between several municipalities in the provinces of A Coruña, Pontevedra, Baleares and Valladolid, in some cases exceeding 2,000 euros a year. On the other side of the coin, the towns of Spain where the average expenditure on fuel is lower, it concentrates on large urban centers and provincial capitals. Bilbao is the city where the lowest average spending on fuel in Spain is given: 715 euros. Followed Ourense (723 euros) and San Sebastian (725 euros). In Madrid and Barcelona the average household spending on fuel was also below the Spanish average. As well as in the Catalan capital it stood at 835 euros a year in Madrid reached 1,030 euros. The capital of the province with the largest average expenditure on fuel among their families is Caceres with 1.450 euros. How much body repair and paint the car in Spain? Mitsubishi, ¿absorbée par l’Alliance Renault-Nissan? Doutes: Pourquoi l’huile de ma voiture sent le gaz?